Nestled within our Tipperary Vineyards in Southern Sonoma Valley, our flagship winery provides a perfect stop for your Sonoma wine tour. Join us for a tasting or a glass of wine at our indoor and outdoor "Tasting Plaza" or book a private vineyard and winery tour and tasting. Description: Enjoy Irish Hospitality in the Heart of Downtown Sonoma! Our Roche Winery tasting room in downtown Sonoma is located just off the famous Sonoma Plaza and is housed in a lovely 1940’s craftsman style building that offers both indoor and outdoor tasting. 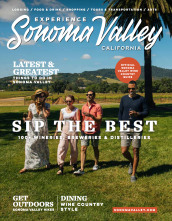 Customers will be able to taste the family’s award winning wine at the indoor or outdoor tasting bar, while seated and relaxing on the porch overlooking the square, or at comfortable outdoor tables on the shaded patio while taking in all of the action of downtown Sonoma.